Lin Yan, Return Home 3 回家3, 2015. 13 x 18 x 2 in. (34 x 45 x 3 cm), Xuan paper, ink and mixed media ©2017 Lin Yan, courtesy Fou Gallery. Lin Yan, Little Empire 小帝国，2014. Xuan paper, 11 x 9 in. (29 x 23 cm) © 2017 Lin Yan, Courtesy Fou Gallery. Lin Yan, Pray 祈, 2015. 10 x 10 x 2.5 in. (25 x 25 x 6 cm), Xuan paper, ink and mixed media ©2017 Lin Yan, courtesy Fou Gallery. Lin Yan, Drizzling #4 细雨4, 2017. 12 x 12 x 2 in. (30.5 x 30.5 x 4cm), Xuan paper and ink on sheetrock board ©2017 Lin Yan, courtesy Fou Gallery. Inhale 吸, 301 x 200 x 74.8 in. 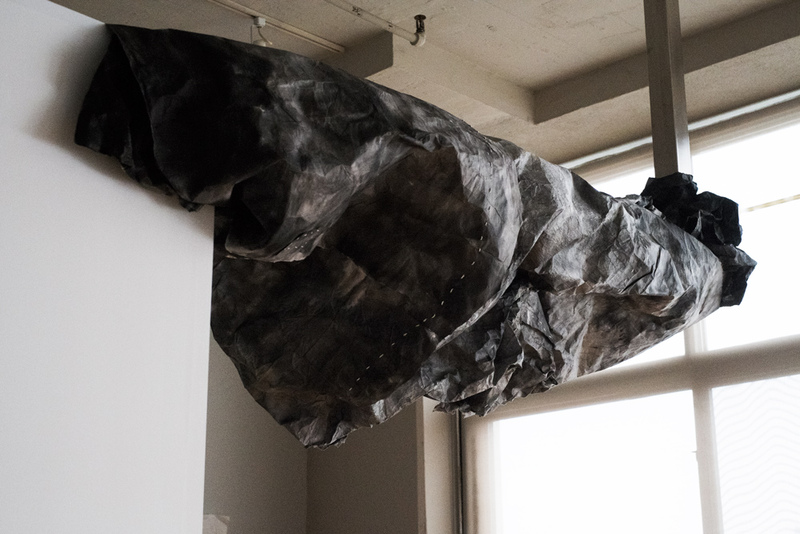 (765 x 508 x 190 cm), Ink, plastic bag, light and Xuan paper installation, 2014. ©2017 Lin Yan, courtesy Tenri Culture Institute and Fou Gallery. Photograph by Jiaxi Yang. Drizzling #3 细雨 #3, 2016, ink, Xuan paper on wood board, 20.5 x 16 in. (52 x 41 cm) © 2017 Lin Yan, Courtesy Fou Gallery. Lin Yan, Passing Through 渡过, 2016, ink, Xuan paper, 18 x 31.5 in. (46 x 80 cm) © 2017 Lin Yan, Courtesy Fou Gallery. Lin Yan, My Village 我的村庄, 20 x 25 in. (50.8 x 63.5 cm), ink, wax, wood and Xuan paper, 2014 ©2017 Lin Yan, courtesy Fou Gallery. Lin Yan, My Street 我的街道, 2013. Ink, wax and Xuan paper. 10 x 12 x 2 in. (25.4 x 55.9 x 5.1 cm) ©2017 Lin Yan, Courtesy Fou Gallery. Lin Yan, Return Home #1 回家 #1, 2015, Xuan paper on wood board, 8 x 16 x 1.5 in. (20.5 x 41 x 4 cm) © 2017 Lin Yan, Courtesy Fou Gallery. 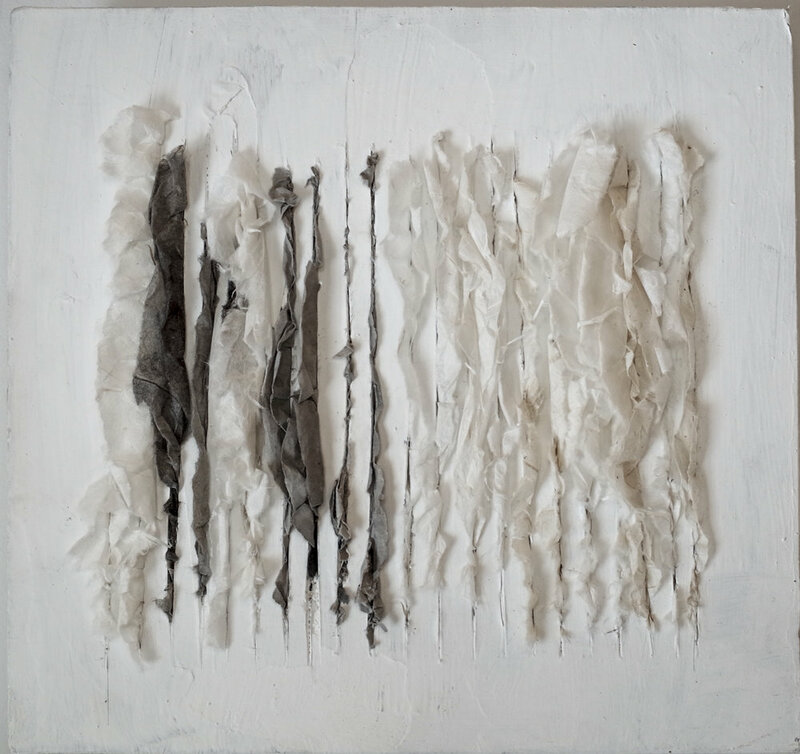 Lin Yan, Hutong #1 胡同 1, 2012, ink, wax and Xuan paper on linen, 16 x 16 x 2 in. ©2017 Lin Yan, Courtesy Eslite Gallery, Taipei. 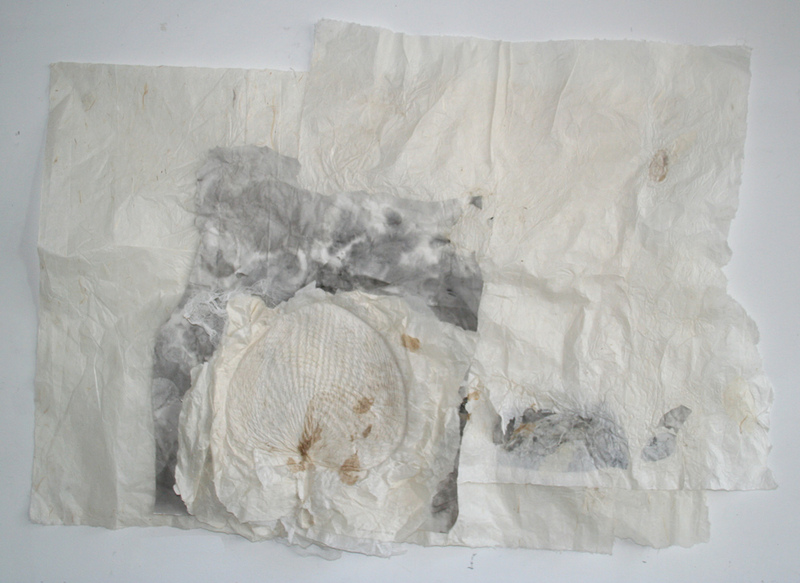 Lin Yan, Hutong #2 胡同 2, 2012, ink, wax and Xuan paper on linen, 16 x 16 x 2 in (41 x 41 x 5 cm). ©2017 Lin Yan, Courtesy Nan Hai Art Center. Lin Yan, Drizzling 小雨 2012, ink and Xuan paper on wood panel, 8 x 8 x 1.5 in. ©2017 Lin Yan, Courtesy Fou Gallery. Lin Yan, Leaves Are Gone #3 落叶3, 2013, ink and Xuan paper, 90 x 60 in. (228.6 x 152.4 cm) ©2017 Lin Yan, Courtesy Fou Gallery. 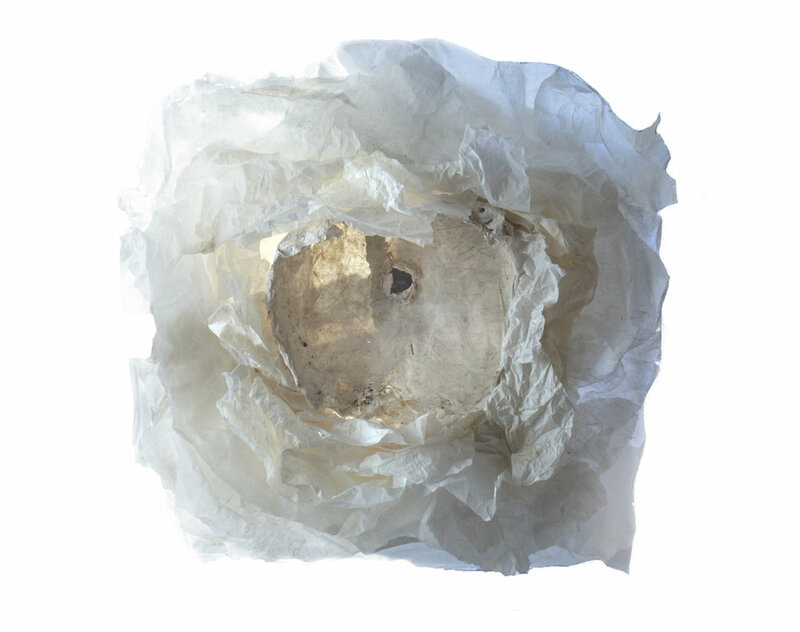 Lin Yan, My Rose 我的玫瑰 , 2014, ink, mesh and Xuan paper, 18 x 13 x 5 in. (45. 7 x 33.1 x 12.7 cm) © 2017 Lin Yan, Courtesy Fou Gallery. 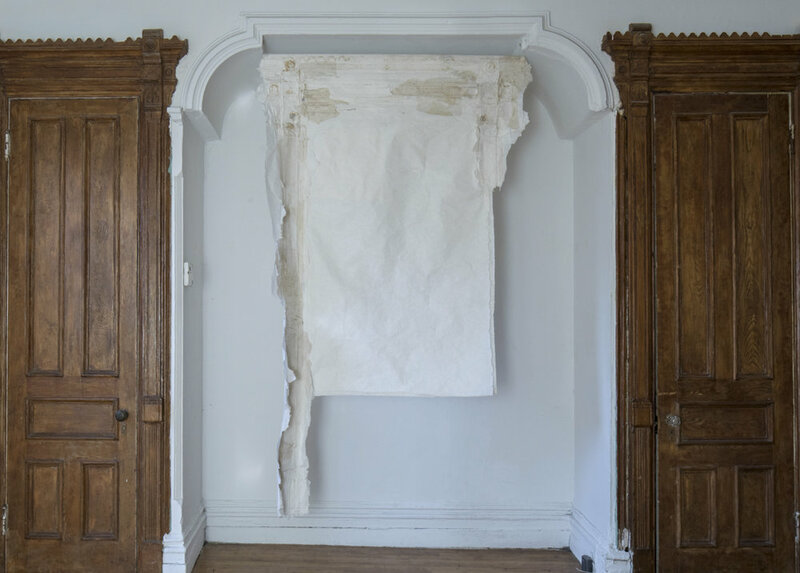 Lin Yan, Leaves Are Gone #2 落叶2, 2012, Xuan paper and nails on linen, 58 x 76 in. (147.3 x 193 cm) ©2017 Lin Yan, Courtesy Eslite Gallery, Taipei. Lin Yan, Breeze 微风, 2014, ink and Xuan paper, 33 x 48 in. ( 83.8 x 121.9 cm) ©2017 Lin Yan, Courtesy Eslite Gallery, Taipei. 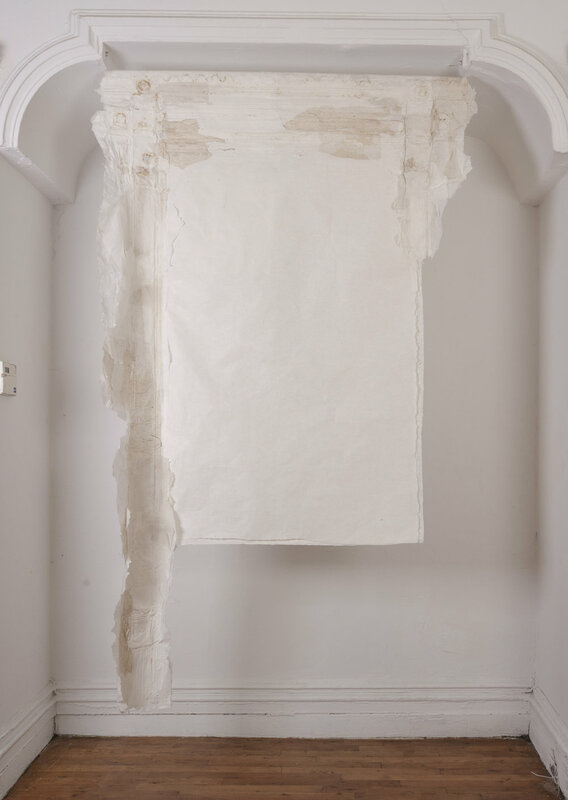 Lin Yan, Air 室内, 2014, ink and Xuan paper, 60 x 36 in. ( 152.4 x 91.4 cm) ©2017 Lin Yan, Courtesy Eslite Gallery, Taipei. LIN YAN (b. 1961, Beijing). Lin was born into a distinguished family of artists. Her grandfather, Pang Xunqin and grandmother Qiu Ti were the pioneers of Chinese modern art. Her parents, Lin Gang and Pang Tao, were the first-generation artists nourished by Chinese high art education. As the third generation of the family, Lin Yan grew up in a wonderfully cultured family. Yet she is able to develop her distinctive artistic voice. After graduating from The Central Academy of Fine Arts, Lin pursued further studies at L'École Nationale Supérieure des Beaux-Arts in Paris in 1985. Then she obtained her M.A. from Bloomsburg University of Pennsylvania, U.S.A. (1989). 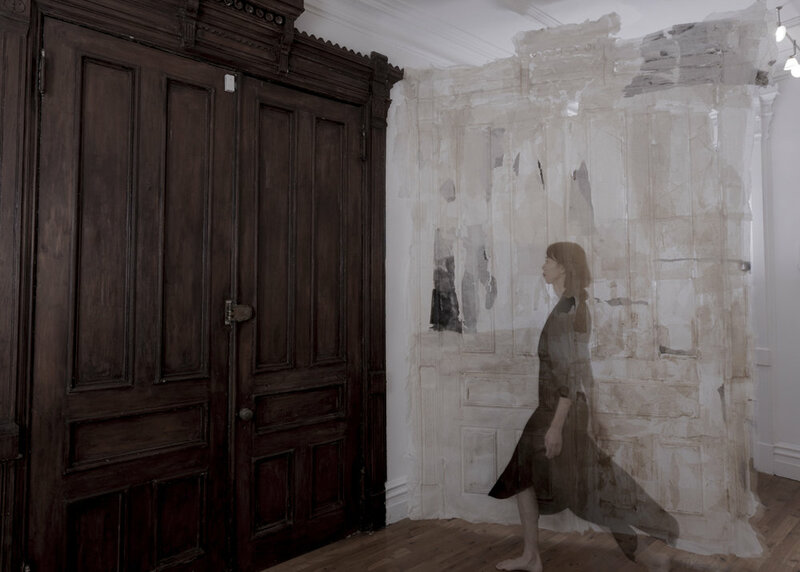 In 1993, she moved to New York and since then lives and works in New York. In 1994, Lin returned to Beijing. 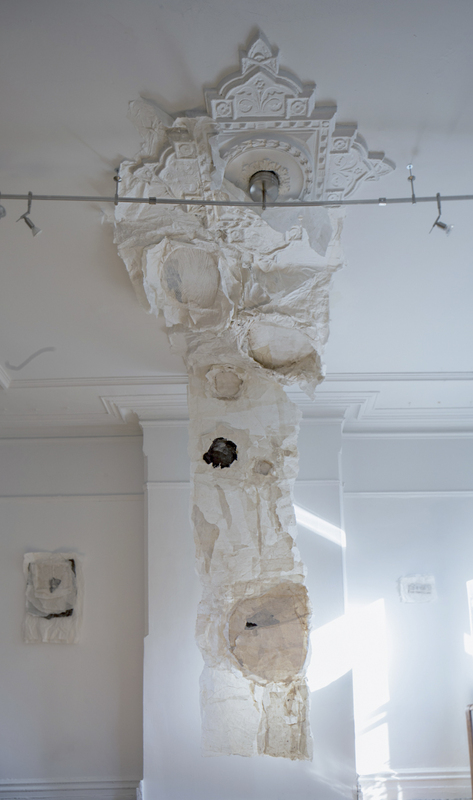 In order to respond to the demolition of Beijing’s historic buildings and districts, Lin began to cast, with paper, the partial objects of old buildings in Beijing, such as roof tiles and rivets, so as to crystalize her feelings for traditional culture in her works. The next 10 years was called the “Black Period" of her career, when she took pains to elaborate the gradations and strength of black the color. In 2005, she started to use Xuan paper as the main medium to create sculpted paper paintings. Hand-made Xuan paper has been traditionally used for Chinese painting and calligraphy. Crumbled layers of soft handmade papers with ink create a paradoxical effect of strong, post-industrial feeling. 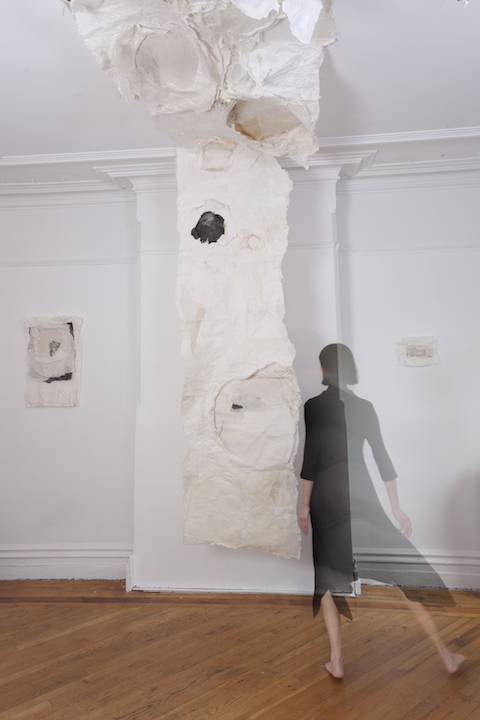 Aware of the struggle and resistance in the world, she balances this restlessness with the tranquility of her materials. Black and white, firmness and softness are harmoniously juxtaposed; each quality implicates the other, like the constant negotiation of void and fullness in Tai-chi, or the Yin-yang balance in traditional Chinese philosophy. Since 2013, Lin Yan has been doing site-specific installations in public art spaces and alternative art spaces, in response to the specific architectural characters. 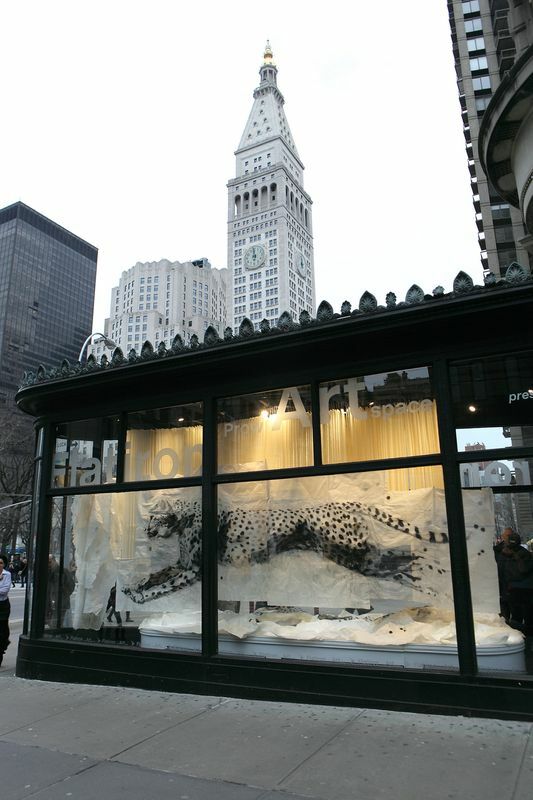 The large ink and Xuan paper installation Embracing Stillness at the glass-enclosed Flatiron Prow Art Space (New York) explores the idea of stillness. 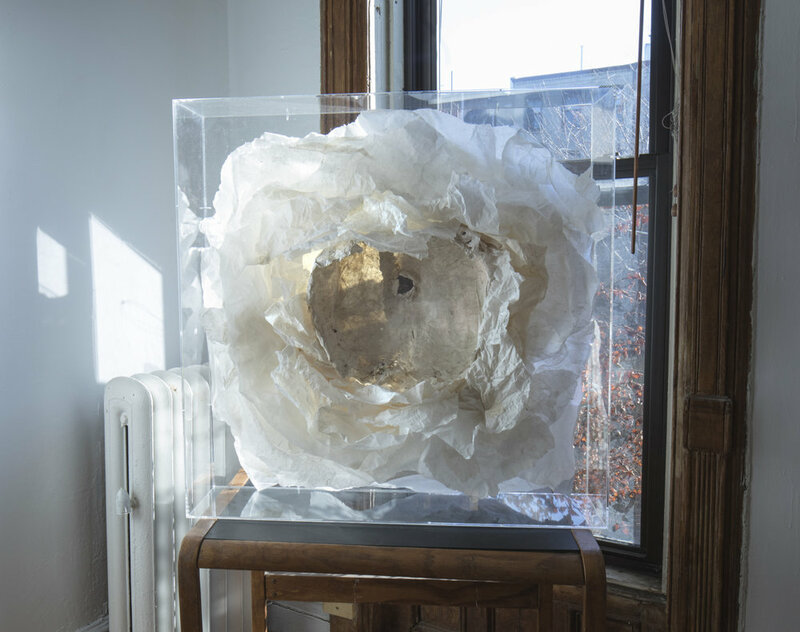 Gently shifting with the air, layers of suspended translucent Xuan papers inhale and exhale light, surrounded by the frenzied flurry of urban life outside. Site-specific installation Sky was created separately in Yuan Art Museum (Beijing), Tenri Culture Institute (New York), Fou Gallery (New York), Kwai Fung Hin Gallery (Hong Kong), Eslite Gallery (Taipie) and White Rabbit Gallery (Sydney) during a 3-year period (2014–2017). The project explores human impact on the environment, especially the epic-scale air pollution in Beijing. 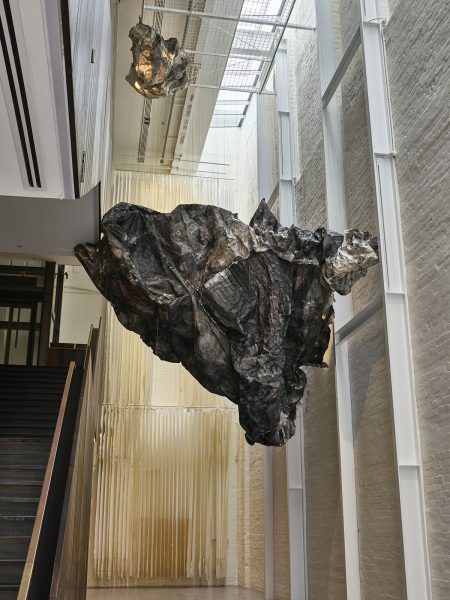 Lin’s work has been included in over 80 museum and gallery exhibitions worldwide, including Museum of the Chinese in America (New York), The National Art Museum in China (Beijing), White Rabbit Gallery (Sydney) and the Dresden State Art Collection in Germany. 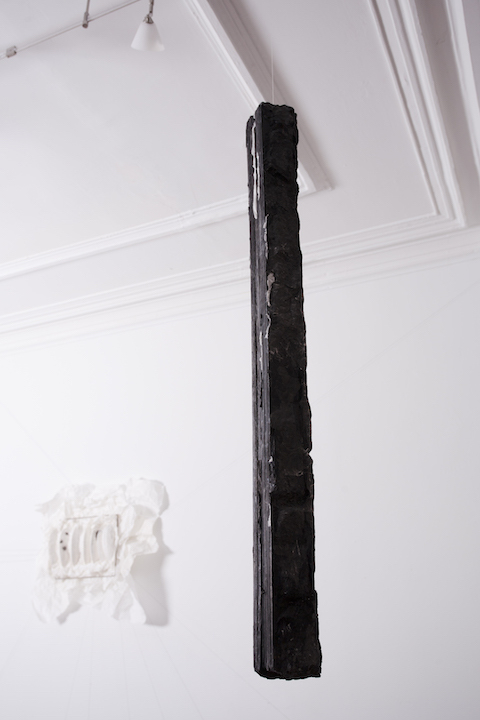 Her work is included in the permanent collections of many public institutions such as Chengdu Contemporary Art Museum, Deutsche Bank Art Corporate Citizenship (New York), Museum of Central Academy of Fine Arts (Beijing), National Museum of China (Beijing), Long Museum (Shanghai), and White Rabbit Gallery (Sydney), etc. Her recent exhibitions include: Lin Yan, Eslite Gallery, Taipei (2016); Lin Yan, Wei Jia: A Garden Window, Kwai Fung Hin Gallery, Hong Kong (2015); Lin Yan: Beyond Xuan, Officina, Brussels (2014). Lin Yan: Gateway (2017) is her second solo exhibition at Fou Gallery.